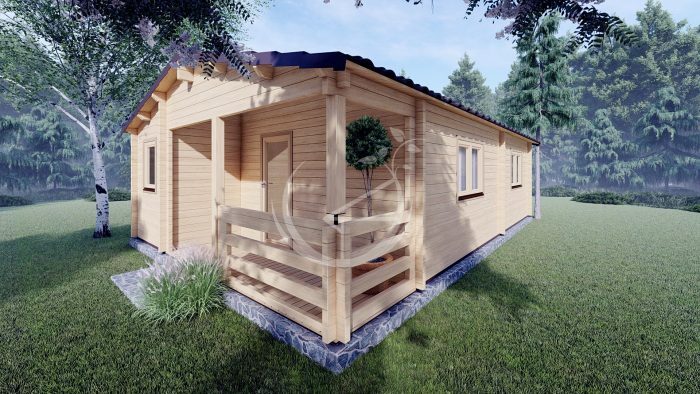 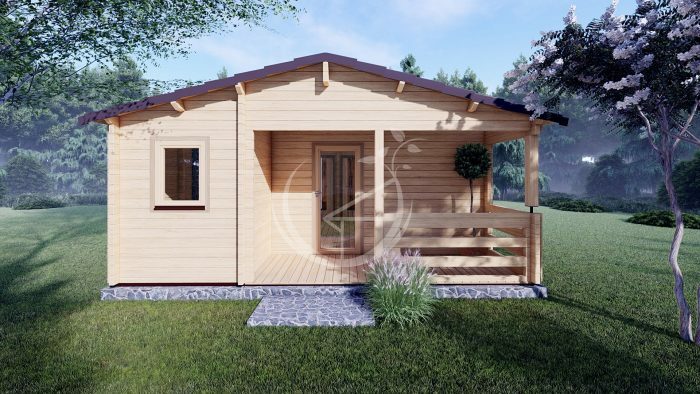 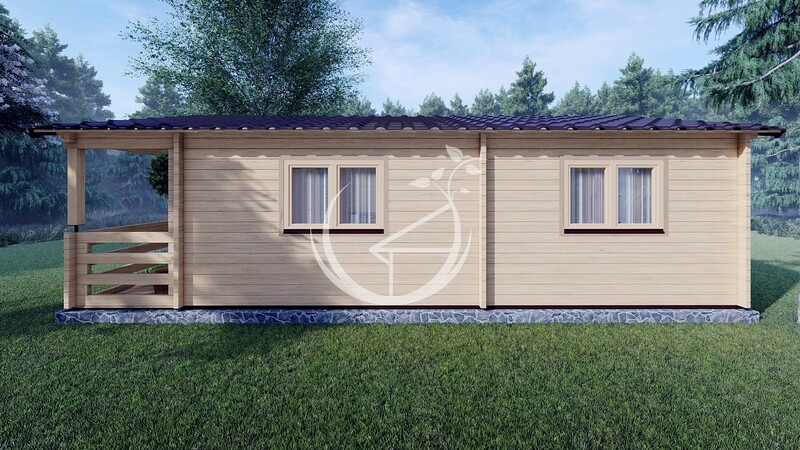 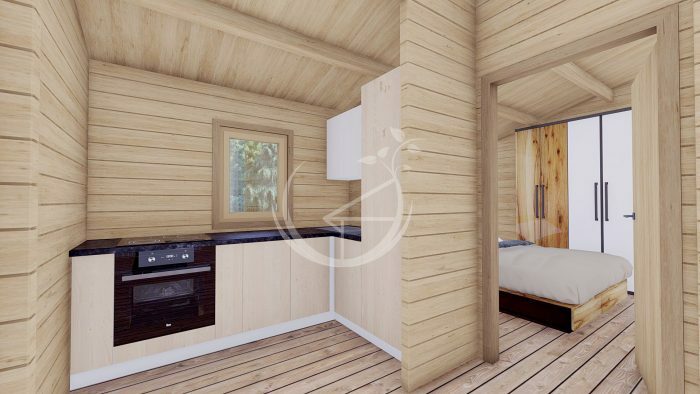 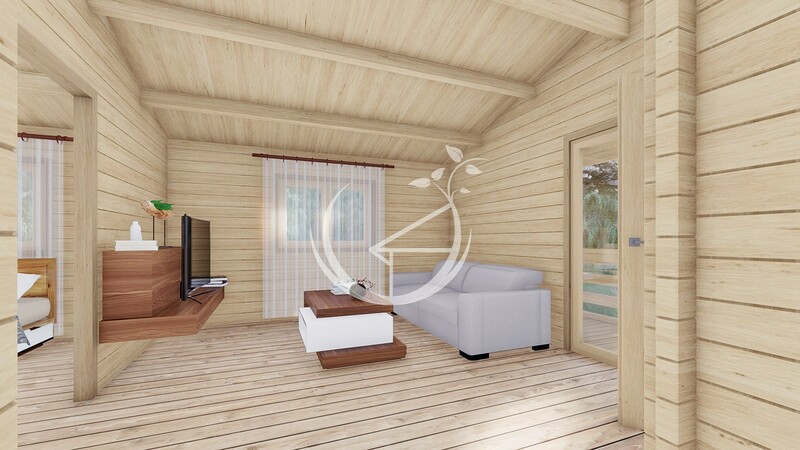 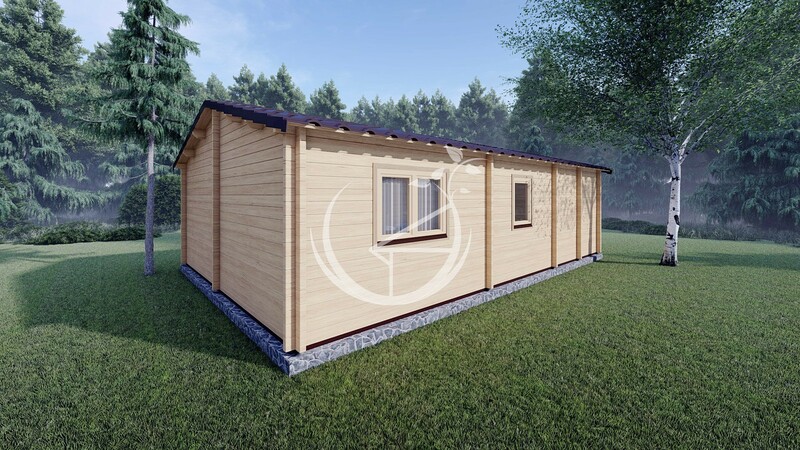 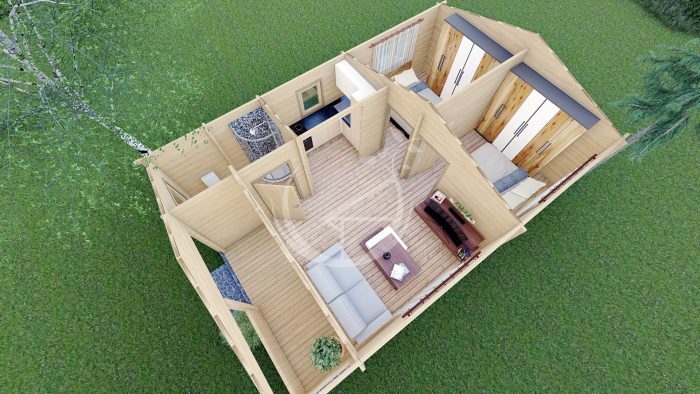 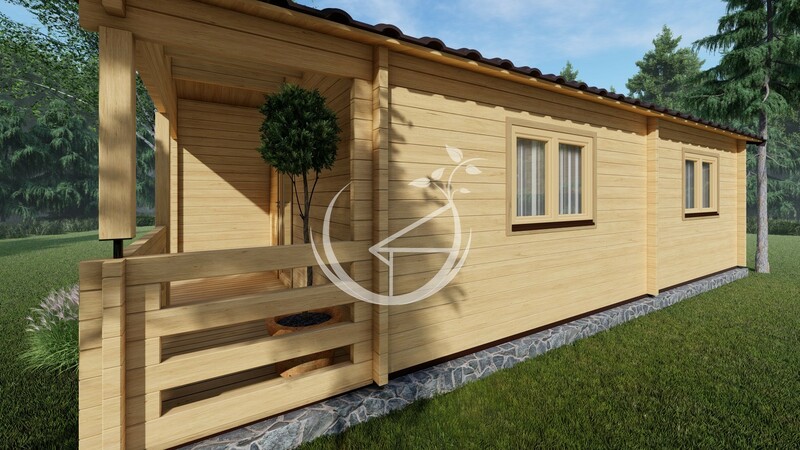 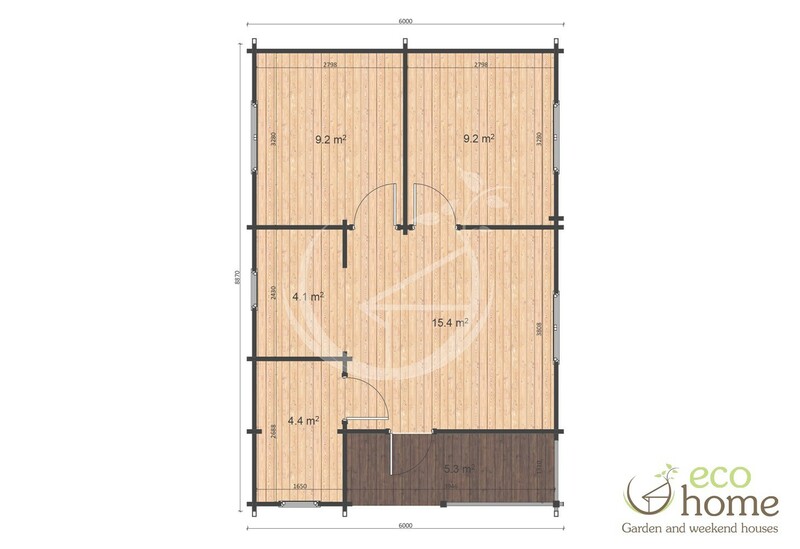 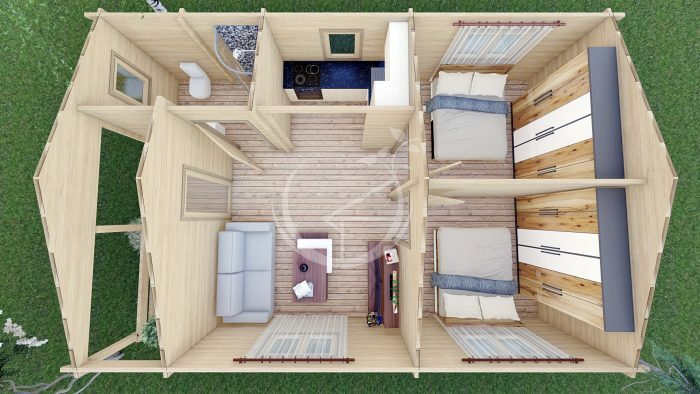 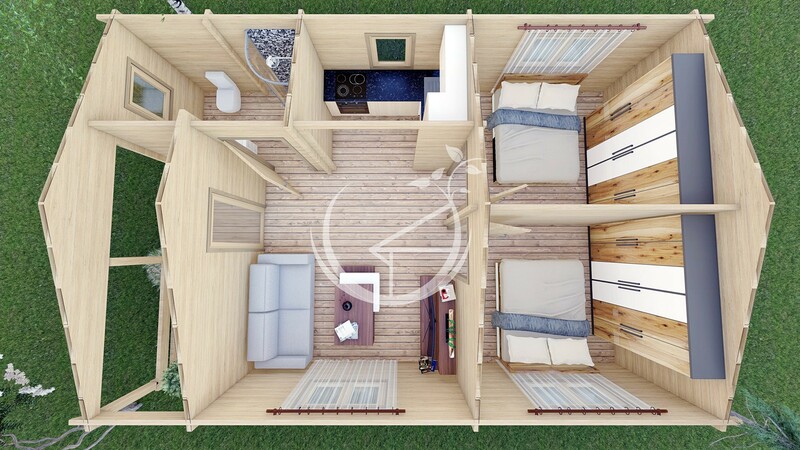 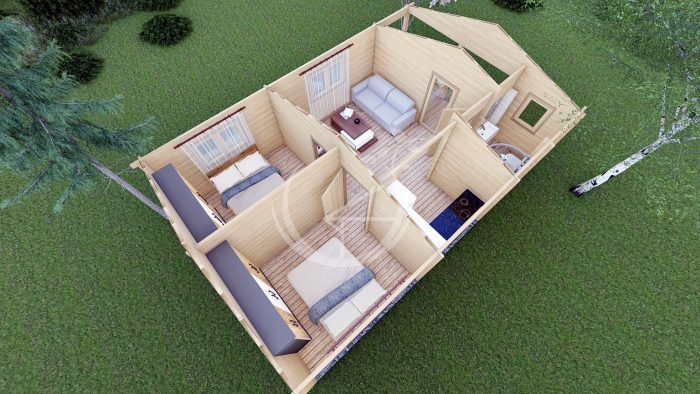 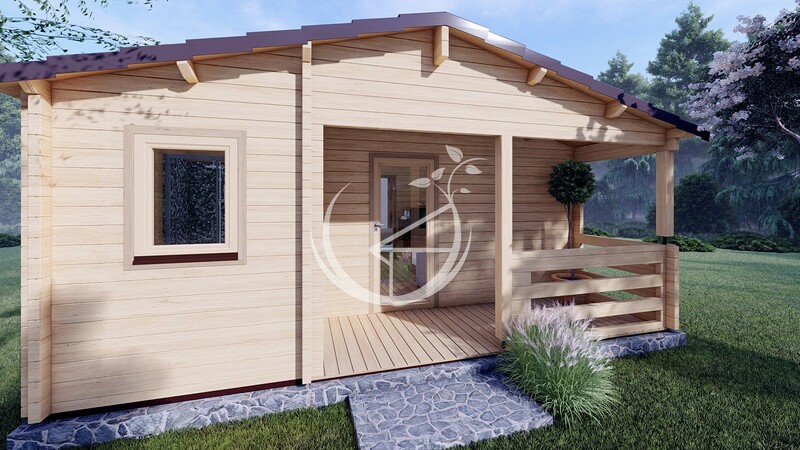 The Almeria two bedroom log cabin would make an ideal residential starter home for a small family, for couples or for one person living. 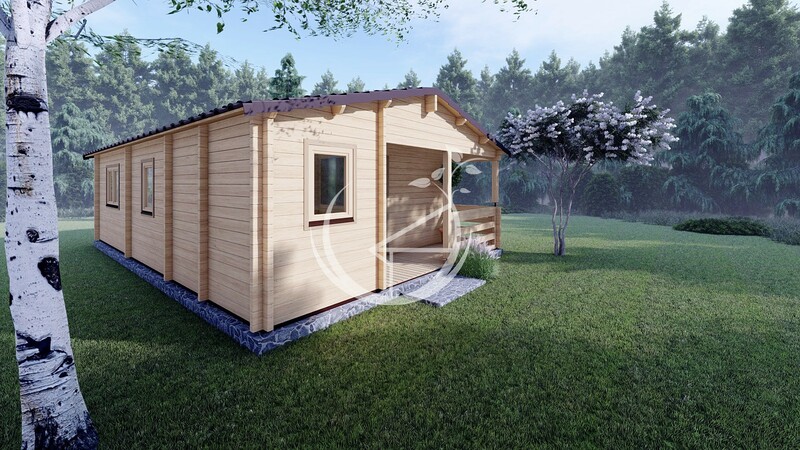 This pretty cabin could also be used as extra living and accommodation space in your existing home creating a striking feature in your garden or property and can be enjoyed all year around with multiple uses such as a home office, a home gym, a reading room or even a man cave. 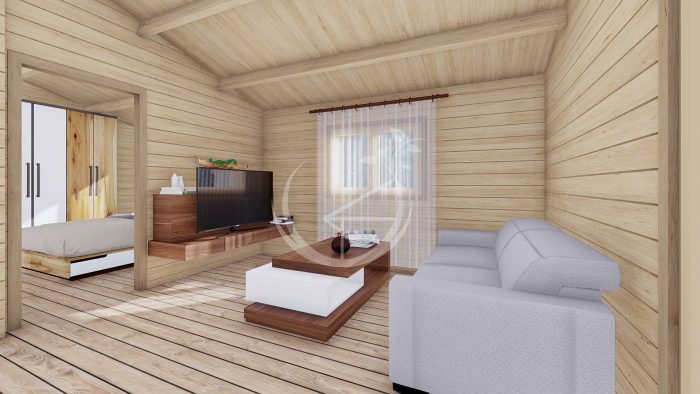 This log cabin has one living room, one kitchenette, two large 9.2 m² bedrooms and a bathroom. The sheltered terrace at the front provides a beautiful extra space for relaxing and entertaining with family and friends.